These Ancient Greeks by King & Country display high levels of detail resulting from a hand painting process and excellent sculpts. There was no entity or nation of Greece at this time; instead there were city-states in competition with each other. Thebes, Sparta, Argos, Corinth, and Athens to name a few all vied with one another for dominance. 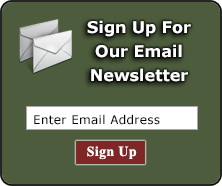 The only thing that could draw the fractious Greeks together was an outside threat, so when the Persian Empire invaded, the Hellenes responded. Greek culture and philosophy heavily influenced the Roman Empire, which spread throughout the Western world. Due to this, Greece is generally considered to be the cradle of Western civilization. Later in history, Alexander the Great and his Macedonians brought the Aegean and most of the known world under the umbrella of his Empire. It would be short-lived however as after his death his heirs fought for whom would inherit, and thus none of them did. 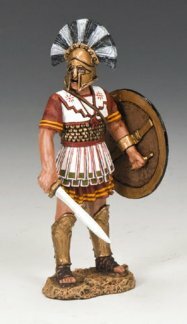 This toy soldier range has Greek hoplites and Persians as well as diorama accessories usable in many different displays. Greek architecture and language spread across the western world in the wake of first Alexander's conquests and then the Roman Empire's absorption of Greece. Browse our selection of King & Country's Ancient Greece range below.